Double page spread ad for maximum visual impact. 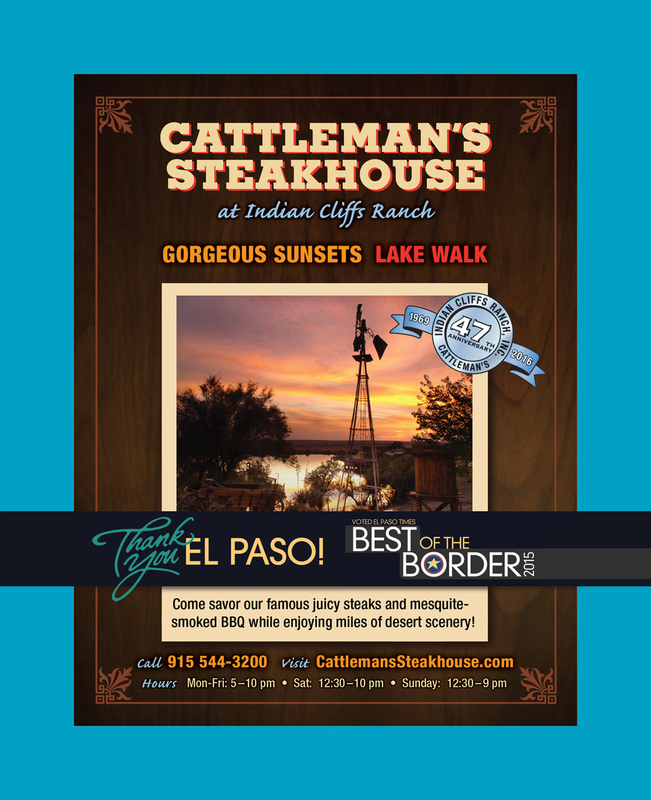 These 5 ads each highlight something special about Cattleman’s Steakhouse. The first 3 run one after the other and the last 2 are the inside and back cover ads of the BOB publication.